A holiday to Tuscany and tickets to see an Andrea Bocelli concert at the Teatro del Silenzio, could there be a better holiday? Tuscany is made famous by its beautiful coastline, architecture, Renaissance art galleries and undulating green hills carpeted with vineyards and Olive groves, it’s also the region where you will find Lajactico, the birthplace of Andrea Bocelli! Every summer, Andrea Bocelli performs a concert to thousands of his adoring fans at the Teatro del Silenzio and you could be there to enjoy the holiday of a lifetime in Tuscany alongside the many thousands of fans that travel to Tuscany from around the world just to see him. ActivityBreaks.com has been offering Andrea Bocelli concert packages at Teatro del Silenzio since this event began, so we understand what our customers want from their concert package, that’s why we work closely with our hotel partners in the nearby town of Volterra to offer you an interesting base while you travel with us. Volterra is a hilltop walled town, situated just 40 minutes’ drive from the Teatro del Silenzio, with its ancient walls and Etruscan remains, Volterra is a very interesting place to stay and that’s why we offer plenty of hotel choices here. A walk down any of its streets will make you feel you have stepped back into time and history, with museums and the public Palazzo all holding treasures of a time past. There are several restaurants, wine bars, cafes and shops for you to enjoy during your stay. Getting to Volterra – we can of course provide all customers with prices for private return airport transfers, but if you prefer to travel to your hotel independently then the closest train station is in Poggibonsi, just north of Siena, so to get to there you can take the train to Poggibonsi. Buses connect Volterra with Poggibonsi and other Tuscany towns. We have handpicked a range of accommodation options in Volterra to suit all budgets, from basic family run hotels to more luxurious options, all of Andrea Bocelli concert packages include your hotel accommodation, your Andrea Bocelli concert tickets and return concert transfers. We can offer any hotel and ticket combinations from the choice available, so if you need any personal assistance with your booking simply contact us. 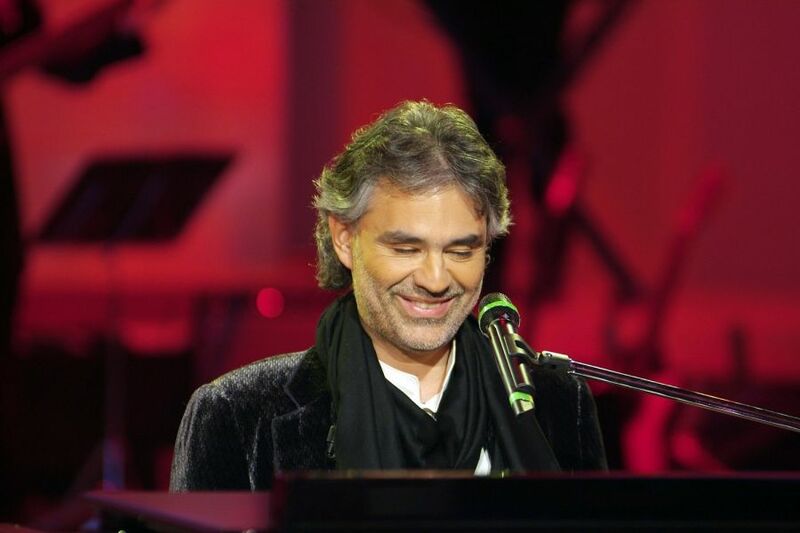 Come and see Andrea Bocelli live in concert and experience this wonderful event in Tuscany!